Tram platform repairs will not be finished on time. "When is the Tram going to reopen?" asked a frustrated reader. 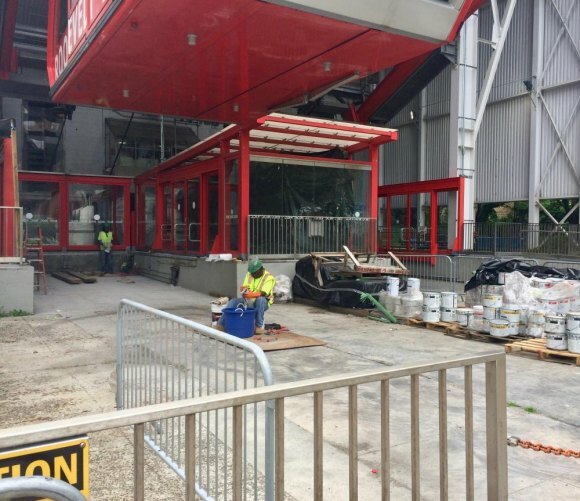 According to RIOC's announcement on May 8th, "Construction work on the Tram Station platforms, at both Roosevelt Island and Midtown Manhattan, will resume next Tuesday, May 15; and continue for up to 30 days..." That span runs out tomorrow. Will the Tram reopen to full service tomorrow? "The work was originally estimated to take 30 days to complete, but several days of heavy rain forced work and ultimately project delays." A check of New York City records does not show any days of heavy rain during that period, and RIOC did not explain why ordinary weather conditions were not taken into account in the projection nor why no notifications were made until media requests arrived. Specialty Construction System, Inc., was awarded the job as low bidder as well as for the Roosevelt Island Bridge helix repairs - which also will not be completed on time or without additional funds from RIOC.